According to *Tradearabia news report, UAE-based Al Barakah International Investment (BII) said work on its new social dining and entertainment destination, Al Qana, in the capital Abu Dhabi, was progressing as per schedule and the touristic waterfront project was likely to be open to visitors in Q4 of 2020. Al Qana is located on the historic natural Khor Al Maqta, the waterway bordering the mainland in close proximity to the Sheikh Zayed Grand Mosque. The development is in a prime location for both residents and tourists with a number of five-star hotels in the neighbourhood. It is the first-ever project being implemented on the build-operate-transfer (BOT) model by the Abu Dhabi Municipality (ADM) along with BII. International Construction Contracting Company (ICCC) is the lead contractor in charge of the development of the project. The project comes within the framework of one of the most successful public-private partnerships in the emirates, said a statement from BII. Al Qana is a unique waterfront destination bringing a new definition of social dining and entertainment in Abu Dhabi. The development is one of the much-anticipated touristic landmarks in the capital featuring seven anchor destinations spanning over 2.4 km of scenic and picturesque waterfront walkways. 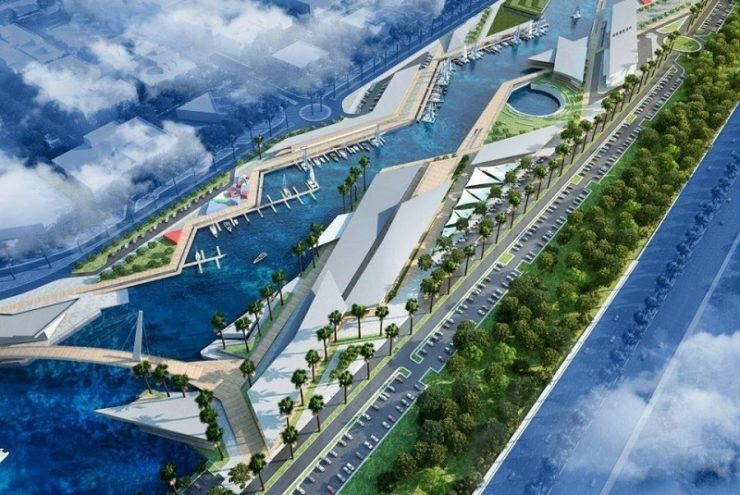 Once ready, the project will boast a unique collection of attractions from waterside eateries, cinema experiences and Middle East’s largest aquarium to mega leisure projects such as the yacht marina, a first-of-its-kind wellness hub and the UAE's debut VR park. It will also feature a kids’ action zone, outdoor skatepark, and landscaped community spaces that are aimed at encouraging social interaction. According to BII, the touristic waterfront project will offer visitors an unparalleled modern lifestyle experience in Abu Dhabi. To ensure quality lifestyle, Al Qana has set aside over 50 per cent of the leasable area for entertainment with its main focus on "recreation and fun for all". To underline the significant steps taken towards completion of the project, Al Qana has brought on board a key partner, The National Aquarium of Abu Dhabi, which will be the largest of its kind in the Middle East. BII managing director Moataz Mashal said: "In line with the capital's vision for 2030, this new landmark destination will play a key role in supporting the government to realise its vision of enhancing Abu Dhabi’s status as one the world’s most popular destinations for business, leisure, lifestyle and entertainment." "Al Qana will offer a new lifestyle for residents through exciting dining destinations and convenient facilities, whilst also being an attractive place for tourists to visit, in close proximity to many of the most famous landmarks in the capital," he added. Al Qana is a landmark that will be positioned prominently in the social fabric of Abu Dhabi, nearby the heart of the new city. It will also be close to other major developments and attractions such as Warner Bros, Ferrari World and Louvre Abu Dhabi, with a direct eye-line view of Sheikh Zayed Grand Mosque, which attracts millions of visitors a year. BII said Al Qana was set to become a significant part of the Abu Dhabi landscape and aimed at adding to the economic and touristic mix. The developer and its partners took additional time to enhance the project with unique features and world-leading design to ensure it is responding to the needs and requirements of local residents and visitors, it stated. Al Qana's general manager Stuart Gissing said: "Our distinctive districts concept and ideal location are already attracting major regional and international concepts, including food and beverage, leisure and entertainment brands looking to become part of the city’s next waterfront lifestyle hub." 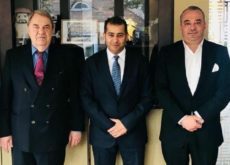 "Since the launch of the project, our team of experts have been working closely with the authorities and our partners to ensure a unique, vibrant mix of complementary commercial services and facilities that bolster the value to investors, tenants and customers," stated Gissing. 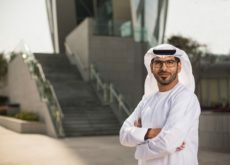 "We have been looking for the best experts in their fields and made key hires as we remain committed to create a quality multi-excitement destination that will keep pace with ever growing need to offer entertainment and memorable experiences at every level, with the requirements of visitors, whilst also reflecting Abu Dhabi’s multicultural society," he added.